The FBI asks the Justice Department to publicly reject Donald Trump’s assertion that President Obama ordered the wiretapping of communications in Trump Tower last autumn. “Two sources with knowledge of the situation” said FBI Director James Comey made the request because Trump had effectively accused the agency of illegal monitoring of a US citizen. One source added that Justice was asked to issue the statement because the FBI policy does not permit confirmation or denial of an investigation. 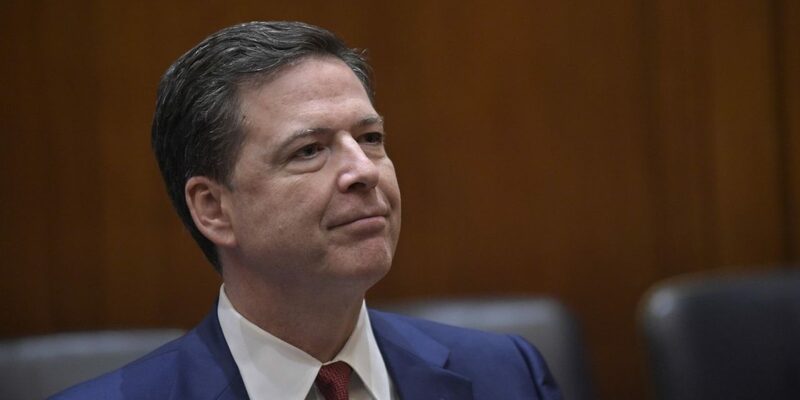 Comey provoked controversy in late October when, only two weeks before the Presidential election, he announced that the FBI had re-opened investigation of Democratic nominee Hillary Clinton’s e-mails. So far, the Justice Department has not made any comment. The department is led by Attorney General Jeff Sessions, a Trump loyalist who had to recuse himself from the Trump-Russia inquiry last week because of undeclared meetings with Russian Ambassador Sergei Kislyak last summer. Trying to divert pressure for an investigation of links between his associates and Russian officials, Trump launched the accusation in four tweets on Saturday morning. He offered no support for the claim: instead he apparently was recycling a conspiracy theory set out by conservative radio host Mark Levin on Thursday night and repeated by Breitbart News — edited by White House chief strategist Steve Bannon until he joined the Trump campaign last summer — on Friday. The top-secret FISA Court has approved a request by the FBI and the National Security Agency to monitor communications as part of an investigation of Russian interference in the 2016 election and possible funding by Russian banks of the Trump campaign. However, no one has ever said that the warrant covered Trump Tower, the campaign headquarters in New York. President Trump is requesting that as part of their investigation into Russian activity, the congressional intelligence committees exercise their oversight authority to determine whether executive branch investigative powers were abused in 2016. Meanwhile, Democrats on the House Judiciary Committee are writing White House Counsel Don McGahn, asking him to detail communications between his office and the FBI and Justice Department. McGahn has reportedly sought to get a copy of the FISA warrant authorizing surveillance of communications. If true, the approach would be an improper contact by the Executive Branch during an independent investigation. “We write to express our concern regarding reports of improper contacts between your office and the Federal Bureau of Investigation, concerning the FBI’s ongoing review of efforts by the Russian government to unlawfully influence the U.S> presidential election in favor of Mr. Trump,” the Democrats’ letter opens. Further detail about Trump’s anger, fuming this weekend at his Mar-a-Lago resort in Florida, comes from friend Christopher Ruddy, the chief executive of Newsmax. Before leaving for Florida on Friday, Trump went “ballistic” with his advisors, including Chief of Staff Reince Preibus and chief strategist Steve Bannon, over the recusal of Attorney General Jeff Session from the Trump-Russia inquiry (see Sunday’s TrumpWatch). Priebus interrupted his Friday afternoon schedule to spend more than an hour to calling reporters to deny, off the record, that Trump’s outburst had happened. Former Trump advisor Roger Stone declares a “perfectly legal back channel” to WikiLeaks founder Julian Assange, raising more interest in a possible connection to the Trump-Russia inquiry. Stone made the declaration amid a foul-mouthed tirade on Twitter: “Never denied perfectly legal back channel to Assange who indeed had the goods on #CrookedHillary”, a reference to Democratic nominee Hillary Clinton. He later deleted the message. During the 2016 election, WikiLeaks published material detrimental to Clinton, including e-mails from the Democratic National Committee and Clinton advisors obtained by Russian hacking. A dossier, compiled by a former officer of Britain’s intelligence service MI6, include the claim that Russia passed the e-mails to WikiLeaks through a third party. Stone is reportedly one of the subjects of the FBI investigation into links between Trump’s associates and Russian officials.